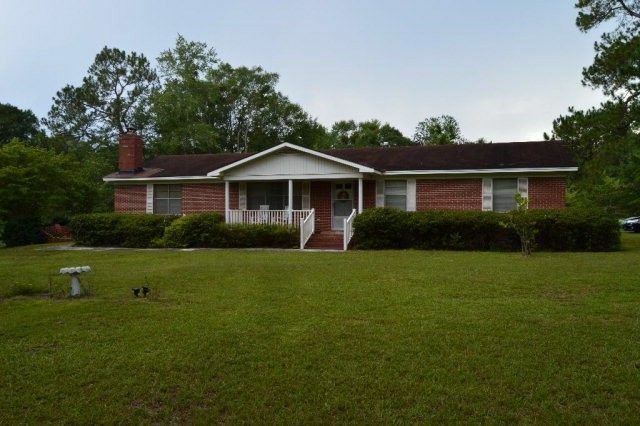 Lovely 3 BR, 2 Bath brick ranch nestled on a 2.96 acre lot with pond. Longing for a piece of the country, but need to be close to town. This property is only minutes from shopping and schools. Lots of nice features including a sunken den with fireplace, breakfast room, dining room and living room. Call Tammie Gibbs @ 912-293-2899. One of the owners is a licensed real estate agent in Florida. Directions: Take Hwy 297 from Vidalia to Corner of Cadillac Drive and Hwy 297. Sign on Right.